Situated at the confluence of the rivers Clywedog and Severn, returns one member to parliament, and has a population of 3,127, principally engaged in the manufacture of woollen and coarse flannels. The church contains some interesting remains. 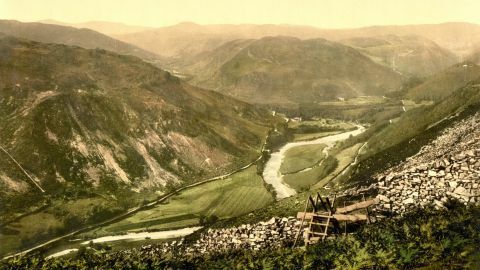 From this we may visit the source of the Rheidol, and Blaen Hafran, the source of the Severn on the edge of Plinlimmon. The road hence to Machynlleth is full of grand scenery (a distance of 18 miles), and we may add, the wildest road in the kingdom. 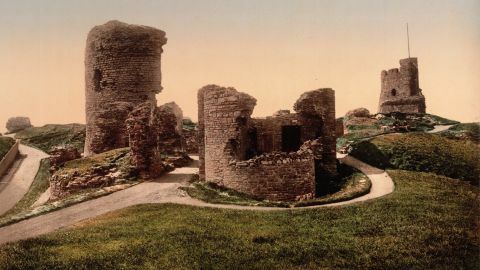 On the coast of Cardiganshire, situated on a bold eminence, overhanging the sea, at the junction of the Ystwith and the Rhydol. A small manufacturing town, situated on the slope of a hill, with a considerable miscellaneous trade. 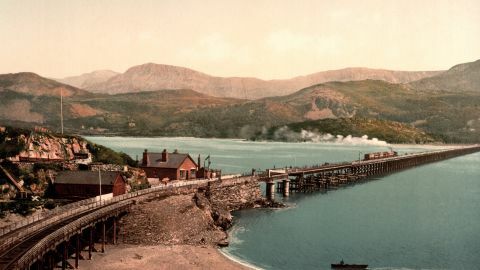 The town is romantically situated at the foot of the celebrated Cader Idris, for the exploration of which it will be found necessary to have a guide or ordnance map.